A perfect example of this is “Citizen Kane.” To be honest, I’m not the biggest fan of Orson Welles’ first outing into the world of cinema, but the impact of the film cannot be ignored, nor can what it was able to accomplish in 1941. Welles’ egotistical fingerprints might be all over the film, but it changed everything that we know about cinema today. If nothing else, I respect it more than most other films. These are the intelligent films that are wise beyond their years, and don’t try to gloat about what they can accomplish, merely allowing their actions to speak for themselves. 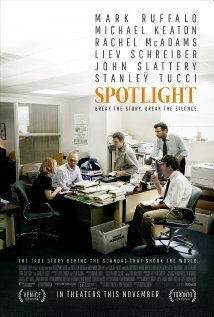 A new film has joined this category, “Spotlight.” A film that is meticulous yet honest, unyielding yet kind, enlightening yet jarring. It follows the true story of a group of reporters and writers for the Boston Globe in the early 2000s that uncover a well-kept secret of Roman Catholic priests that molested children that dated back as far as the 1970s. 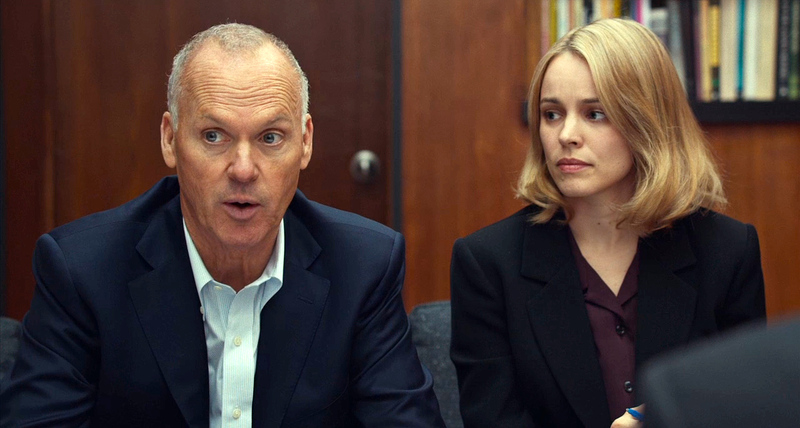 Despite the backlash among the church and city of Boston unwilling to allow this to come to light, the reporters (played by Michael Keaton, Mark Ruffalo, Rachel McAdams and John Slattery) never stop to hunt down the truth about what happened, because they know it is what the people deserve. The highest compliment I can give “Spotlight” is that it never felt like a movie. I don’t mean that I had an out-of-body experience, but that it didn’t seem like I was watching actors trying to fit into their role, or that the director was manipulating the audience to feel a particular emotion. It felt like I was watching these real people doing their best to bring a terrible crime into the light despite all the people being against them. This is because the film is based on of true events, but even then those types of films often manipulate the situation to make everything feel more grand and cinematic. “Spotlight” never goes out of its way to do that, seeing that as distorting the fact and turning it into fiction. My belief is that film is one of the greatest illusions an artist can pull, and that can be true for any piece of fiction. You are making an audience of millions believe that everything you just showed them actually happened, and that they get emotionally invested in it because they thought it was real. If you do something jarring or off-putting that reminds us we’re watching a film, you break the illusion. But what do you do when there is no illusion to begin with? 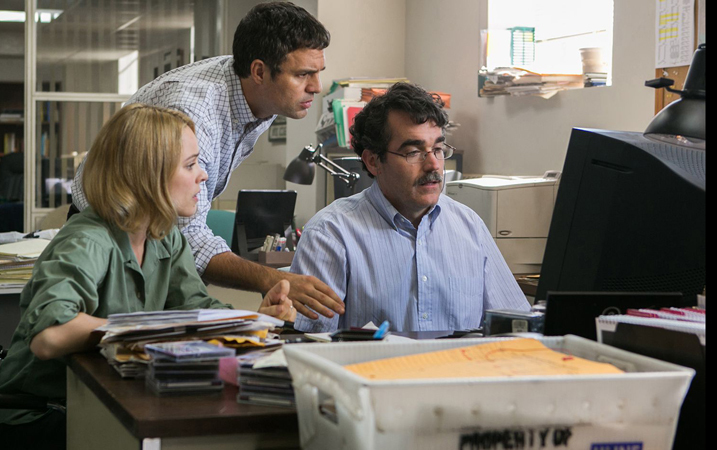 With a movie like “Spotlight,” you stick to the facts and make the audience think they’re apart of cracking this case along with the reporters. To my recollection, two other films have done something like this and pulled it off spectacularly – “All The President’s Men” and “Zodiac.” Both of these films were about breaking the most difficult cases of their time, the Watergate scandal the Zodiac killer in San Fransisco respectively. Neither film was shy from telling the truth and the attention to detail was as close as it was for the reporters. These films, along with “Spotlight,” are shining examples that film can be more than entertainment and art, but a time capsule to those who persevered and conquered a system that was bigger than themselves. That journalism is more than reporting the news, but it gives a voice to the voiceless. It reminds establishments, like the government or the church, that we will notice when they become corrupt and commit crimes, and that we will not stand for it. 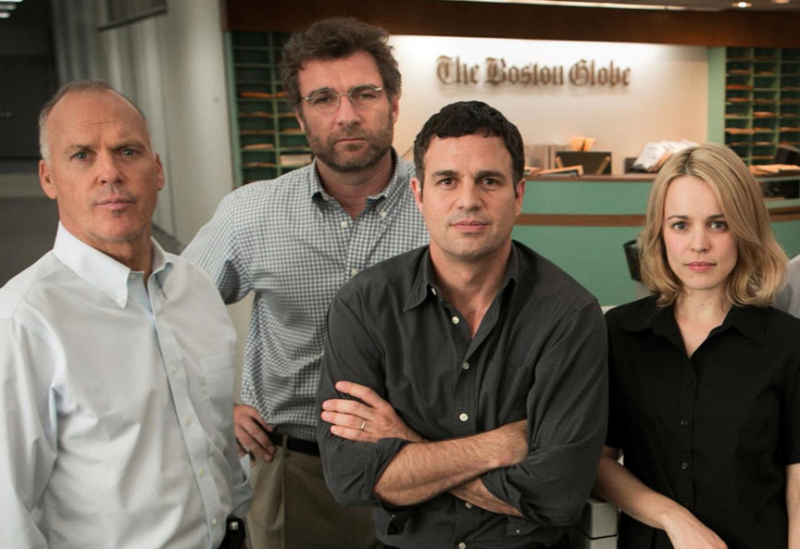 Overall, I respect “Spotlight” more than any other film in the last five years. It is a shining beacon for the power of journalism and that you don’t need an exciting climax or expansive fiction to tell a fascinating story. I may not have always been entertained by “Spotlight,” but I appreciate that it stays true to the “Based On True Events” statement at the beginning of the film.